Several records have been broken in Essen, Germany. Both the number of foreign (non-German) visitors and the palette of exhibitors (originating from 46 different countries) has never been as broad and diverse as this year. However, the number of visitors remained behind a bit: with 1,000 less visitors. In terms of exhibitors, in total, 1,546 companies exhibited this year, which is 18 less compared to last year. Besides, Belgium being the Partner Country of the show resulted in a higher attendance out of Belgium. According to the organization, 9 percent of the visitors came from Belgium. The breeders, suppliers and traders of Plants, Flowers and Packaging. Striking this year was the number of sustainable alternatives of plastic pots, packaging materials and other added value products that were presented at the booths. Growers, breeders and other suppliers are increasingly focusing on making their production processes more sustainable and are applying for several certificates to supply the customer with more responsible and environmentally friendly alternatives. And not to forget, bee attracting plants are also part of the story. It also became clear that the trade of plants is doing well. Growers are investing in new varieties and new technologies to upgrade their cultivation. They have not forgotten the sober years and see this line continuously going upward and do not expect it to stagnate. The Brexit-story might be a point of concern, but so far at the exhibition floor, no one seems to be extremely concerned. Regarding the technical part of the exhibition, a remarkable amount of LED product launches took place during last week's exhibition. Other than in the LED segment, the amount of novelties was fairly low. Whereas over the last couple of years various technical suppliers used the IPM as the place to launch their new products, it looks like they now focus more on the Fruit Logistica or GreenTech shows - important dates for the industry as well. 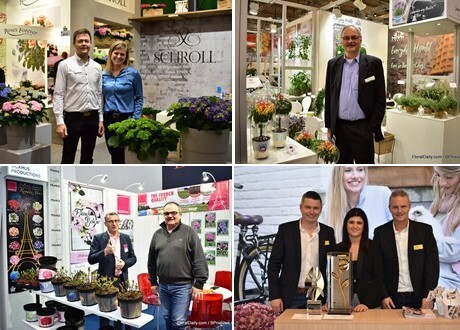 The next IPM ESSEN will take place at Messe Essen from January 28 to 31, 2020.